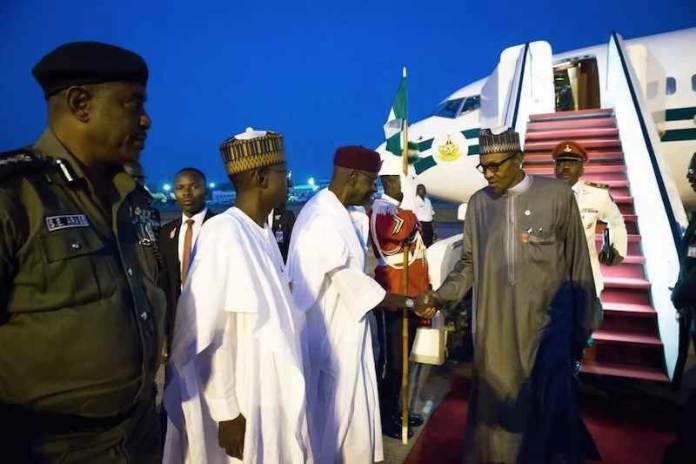 President Buhari has arrived Nigeria after 51 days abroad. He came in this morning at about 4.00am, while y'all (minus me) were busy snoring, that's according to Thisday. Others say he landed at 7.40am (either way, he landed). He reportedly landed at Kaduna Airforce Base and will be flown by helicopter to Aso Rock. Thank God the President is hale and hearty. Good morning everyone!